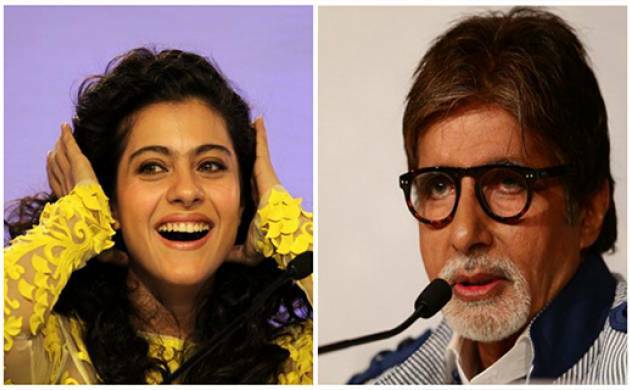 Bollywood celebrities including megastar Amitabh Bachchan, Aamir Khan, Farhan Akhtar and Shraddha Kapoor among others wished their siblings and fans on the occasion of Raksha Bandhan. Bollywood celebrities including megastar Amitabh Bachchan, Aamir Khan, Farhan Akhtar and Shraddha Kapoor among others wished their siblings and fans on the occasion of Rakshabandhan. Bachchan retweeted a post in which one of his followers wished him on the occasion and shared a childhood photo of his children, Shweta Nanda and Abhishek. “A very happy Raksha Bandhan to everyone. Love. a,” Aamir tweeted. A very happy Raksha Bandhan to everyone. Love. a.
Farhan posted a picture collage of him and sister Zoya. “Love you Zoya.. Always have. Always will.#happyrakshabandhan,” he wrote. Actress Kajol shared a photo of her kids Nysa and Yug on Instagram. “True love looks like this, happy raksha bandhan,” she captioned it. “Sisters Suj, Sumi...Photo bombers nephew Shane, Rohil n half way there brother in law Bharat! #rakhshabandhan,” “Dhadkan” actor Suniel Shetty captioned the picture with his sisters. Shraddha also wished her brothers, Siddhanth and Priyank “Happy Rakhi @SiddhanthKapoor Priyank,” she wrote. “Sarbjit” star Randeep Hooda shared a picture of himself along with his own sister, and Sarabjit’s sister Dalbir Kaur. “A very #HappyRakshaBandhan to both my sisters @Anjalihooda and #Dalbir ji. Don’t worry I’m there,” Hooda wrote. Actress Soha Ali Khan shared a photo of herself tying Rakhi to actor brother Saif. “Happy Raksha Bandhan brothers and sisters! Look after each other #rakshabandhan,” she captioned the photo. Actor Neil Nitin Mukesh wished casting director Shanoo Sharma a Happy Rakhi. “Happy Rakhi my darling sister @Shanoozeing. Love you loads,” he wrote. Shamita Shetty tweeted, “Happy Rakhi bro...Love ya big hug !! @rajivadatia”. Actress Genelia Deshmukh retweeted her brother Nigel D’Souza’s post. “With @geneliad my guardian angel watching my back life’s been a dream...happy Raksha Bandhan my darling sis...Luv u,” Nigel wrote. Madhuri Dixit-Nene tweeted, “Happy Raksha Bandhan to all. Celebrate the bond of sibling love.Tiger Shroff said his sister is his superpower.“The source of my superpower...my sister #windbeneathmy cape #HappyRakshaBandhan,” he captioned his and sister Krishna’s photo.